Precision components require precision manufacturing techniques. The Extrude Hone® MICROFLOW abrasive flow process is designed to achieve precise results under tight tolerances. MICROFLOW TEST provides high precision flow measurement technology that refines control of the machining process. MICROFLOW TEST was designed as a result of decades of fuel system processing experience on large-scale automated systems. MICROFLOW MEDIA is a formulated solution distinguishable by viscosity, particle size, particle type and density. The abrasive particles are mixed into the media solution. Remote service tracking and standardized components. Easy integration into automated production systems. Ability to operate in manual or automated modes. Media flows in one direction, same as flow through component during operation. Real-time monitoring of abrasive media flow through small passages. Achieves specific and repeatable processing that results in production stability. Versatility – can be utilized as a lab or production machine. Pressure drop within the component during operation. Desired flow rate through the component during operation. The geometry of the flow path through the component. The properties of the fluid during component operation. Smaller footprint as a stand-alone machine when compared to other fully automated flow measuring systems. Reliability and precision using a platform that is easy to operate. 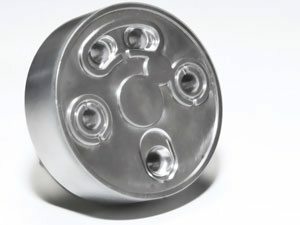 Capability of maintaining repeatability of +/- 0.25% accuracy of +/- 0.1% which is ideal for high precision work such as fuel system components. Contains an organic fluid with a low percentage of fine abrasive particles. 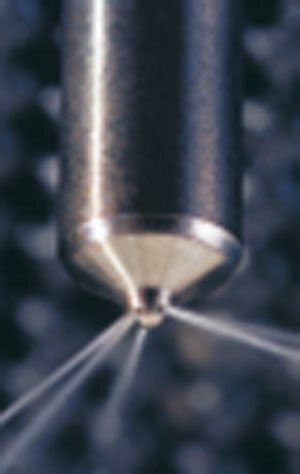 Unique rheological modifiers keep the abrasive particles uniformly suspended so they flow evenly through complex contours and simultaneously work on multiple edges. 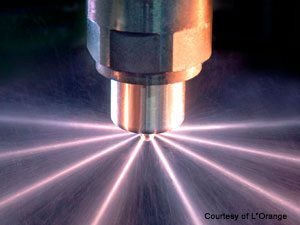 Abrasive particles are typically comprised of materials such as silicon carbide, aluminum oxide and boron carbide. 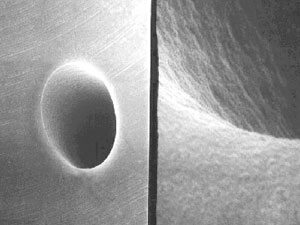 Together, the MICROFLOW process, MICROFLOW TEST and MICROFLOW MEDIA provide the capability to fine tune the flow characteristics through orifices within machined components. Process efficiency. Flow increases of up to 60% are achievable without adversely affecting the exit hole geometry. Flow consistency. Maintains flow consistency from part to part, and throughout all combustion chambers. Enhanced product performance. Provides increased discharge coefficient of high precision orifices without changing the exit geometry. Lower emissions and improved fuel economy. 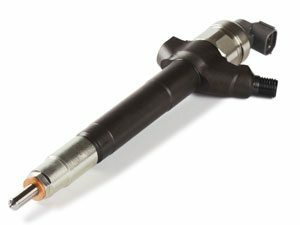 Improvement in atomization of fuel for both gas and diesel injection systems results in fuel that burns cleaner, and more efficiently. Lifelong component performance. By creating geometries that are stable over time, component performance remains unchanged.